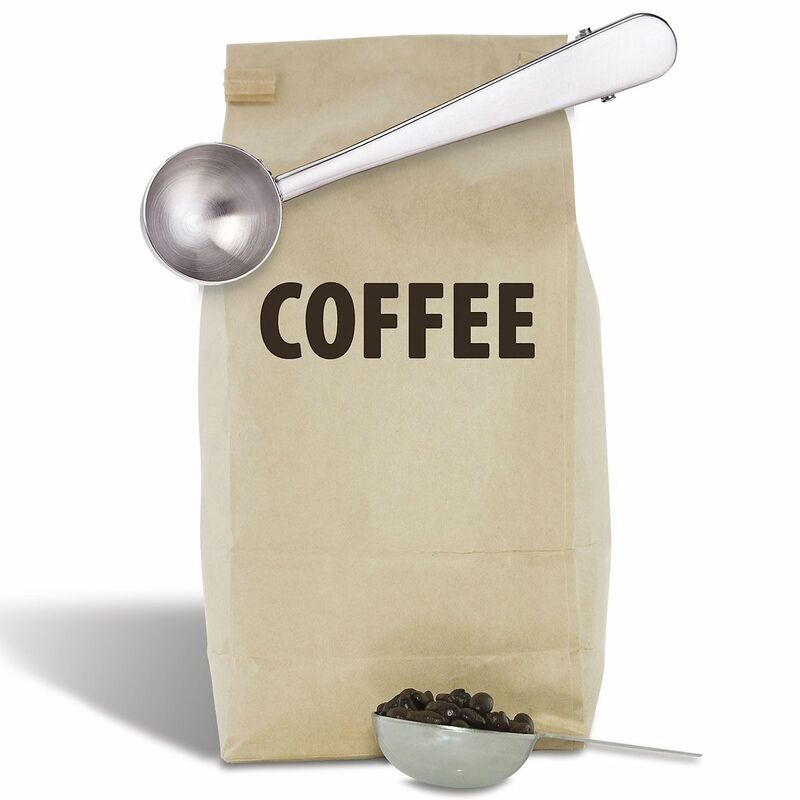 Coffee spoon measures your coffee and keeps it fresh, too—handle doubles as a bag clip. Stainless steel; 6 1/2"L. Spoon holds 2 tbsp. Hand wash. Coffee is not included.